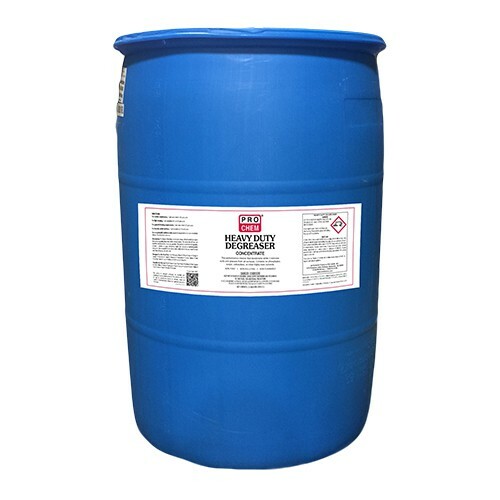 HEAVY DUTY DEGREASER | Pro Chem, Inc. This product is a highly concentrated, nonbutyl degreaser which dissolves and emulsifies the heaviest of grease accumulations. Dilute 2 ounces per gallon for general degreasing and routine maintenance. More concentrated dilutions may be required depending on the accumulations of grease and oily substances.